Hello. 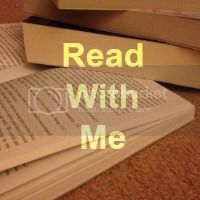 Read With Me is back for 2016. I considered stopping towards the end of last year but I realised how much I would miss both the linky itself and all of you who have continued to join in. Christmas bought me plenty of books, some I have read previously and others that I now look forward to reading inlcuding The Mortal instruments series. This means that I hope to bring you more of my own book reviews rather than all books I've been sent to review in the coming months. These book gifts also made me think that as much as I love my Kindle, I've come to realise that I love holding a real book in my hand and there are certain books that I want to have physical copies of, I mean technology can fail and I'd hate to lose all of those stories. What I need now is for the husband to build me a nice big book shelf to display them all on. Did you or your children get many books for Christmas? Onto the first link up of the year. If you are new to Read With Me, do take a look here at what it is all about. All regulars (thanks for coming back), get linking, commenting and hopefully displaying my badge. I've never read a book electronically! My husband recently moved my bookshelf out of the bedroom :( It was a sad day, but actually we needed the space. oh no, not a small thing you can just sneak back in either. so pleased to hear it, happy new year to you too. thanks so much for joining in, looking forward to reading more of your posts. I love both types - ease of having so many books at hand wherever I am with the Kindle but also the cozy sit down and snuggle up in the chair clutching that hardbacked book delight as well. I love books, and have way too many of them decorating my wall lol, so I definitely know what you mean about a physical book being more preferable. However, the only way I read these days is audio on my commute heh.